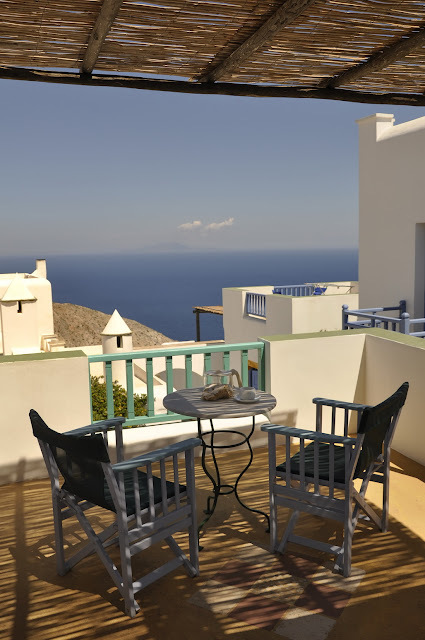 The rooms preserve their traditional Cycladic character, decorated by the homeowner with love and taste. 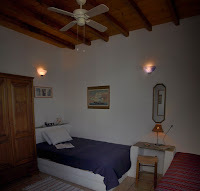 The combination of colors and building materials create an environment of unique aesthetics with characteristic features of the Cycladic simplicity and nobility. 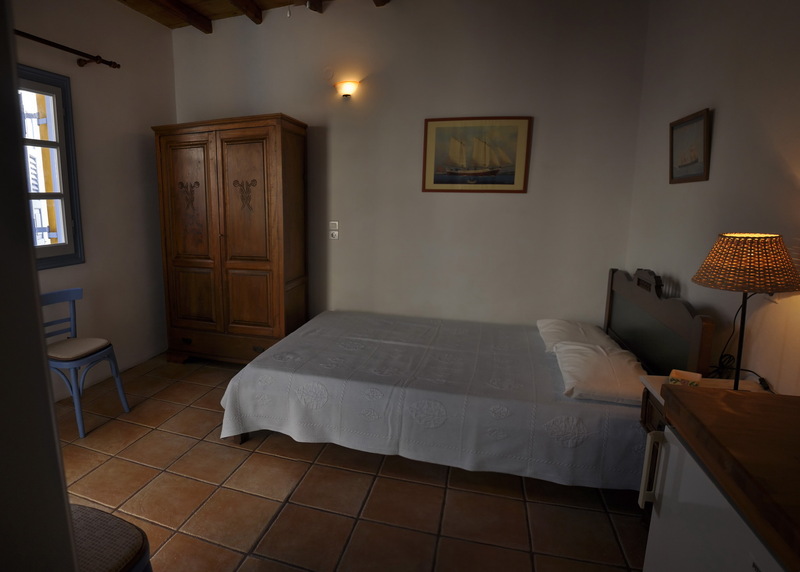 Two and three bed rooms surrounded by courtyards compose a small traditional Cycladic village. 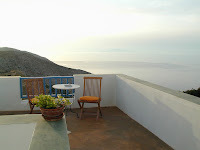 Rooms located on floor level have direct independent access to their own independent terrace. • Refrigerator and necessary kitchen utensils for breakfast and snacks preparation. 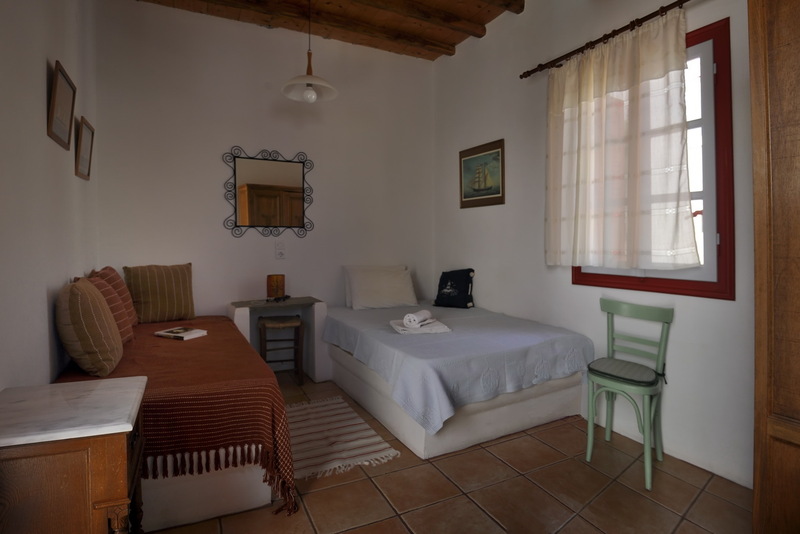 • Some rooms are available with a kitchenette and a coffee maker. 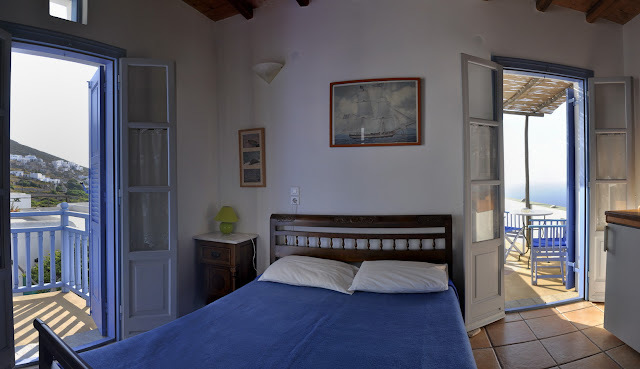 - Upon your arrival at the island, there is the possibility to organize your transfer to our residence, provided that an earlier arrangement has been made. - Pets are not permitted in the residence. 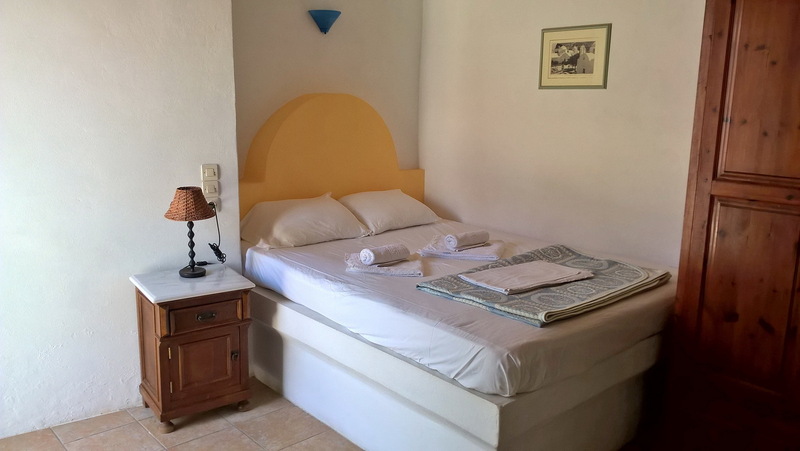 - With respect to the environment and the management of water resources, which is an issue, linen change is arranged every three days.